The NED provides grants to media outlets, human-rights groups and other organizations for the stated purpose of fostering democracy in foreign countries. When it was revealed in the mid-1970s that the CIA had been secretly funding opposition elements in countries leaning toward the Soviets, it sparked criticism that these activities were unwarranted infringements upon state sovereignty. The debate over whether to continue these programs - and, if they were going to be continued, what form they should take - lingered for years. Eventually, President Ronald Reagan, in a speech before the British Parliament on June 8, 1982, articulated a desire “to foster the infrastructure of democracy - the system of a free press, unions, political parties, universities - which allows a people to choose their own way, to develop their own culture, to reconcile their own differences through peaceful means.” On Nov. 18, 1983, the nonprofit, private National Endowment for Democracy was incorporated, following an act of Congress. The NED’s primary focus in its early years was combating communism. Today, the agency is often linked to the so-called war on terror. President Bush proposed doubling the NED’s budget in his 2004 State of the Union address, saying he wanted the agency “to focus its new work on the development of free elections, and free markets, free press, and free labor unions in the Middle East.” The Bush administration claims that bringing democracy and free markets to Middle Eastern countries will help combat terrorism. Grantees use the money on a variety of projects, including media production, election-observation programs, legal aid, seminars, training, etc. Supporters claim the NED has produced tangible results, pointing to its role in helping Poland’s Solidarity trade union overthrow communism. Many say promoting democracy is in the best interest of world peace, because democracies don’t go to war against each other. Detractors, however, have criticized the NED routinely since its inception more than 20 years ago. Some say it’s doing exactly what the CIA did, only overtly. Some characterize it as an absurd boondoggle, easily manipulated by Democratic and Republican partisans, as well as special interest groups, who channel resources for their own benefit. 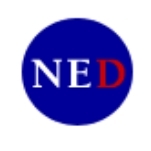 Still others assert that the NED is merely a front for furthering the United States’ own foreign policy objectives, regardless of whether those objectives converge with the promotion of democracy. Critics denounced the NED for funding groups opposed to Venezuela’s President Hugo Chavez, who came to power in 1999. In a 2004 article appearing in the National Catholic Reporter, journalist and Chavez biographer Bart Jones said some found the NED’s efforts to be reminiscent of “the CIA of previous decades when the agency was regularly used to interfere in the affairs of Latin American countries.” The article also cites NED critics who charge the agency with hypocrisy for funding a group headed by a man linked to a 2002 coup against Chavez, who was democratically elected. For more information on this and other controversies, as well as views on the NED’s usefulness, see the links in the Debate section below. 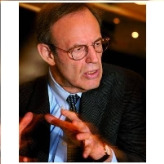 Carl Gershman was born in New York City on July 20, 1943. He received a bachelor’s degree from Yale University in 1965, followed by a master’s degree from Harvard Graduate School of Education in 1968. Gershman has had a long and varied political career. Prior to assuming the presidency iof the National Endowment for Democracyn 1984, he worked as director of research, co-chairman and then executive director of the Youth Committee for Peace and Democracy in the Middle East between 1969 and 1974; as chairman of the Young People’s Socialist League between 1970 and 1974; and as executive director of Social Democrats, USA, between 1975 and 1980. He then served as a resident scholar at Freedom House from 1980 to 1981, as well as a human-rights representative to the United Nations under U.S. Ambassador Jeane Kirkpatrick. It might seem odd that Gershman, with his nominally socialist roots, is a recent ally of neoconservatives. However, SD-USA, founded by anti-communist hard-liners who broke with the Socialist Party of America, has staked out hawkish, interventionalist positions on foreign policy, and has even voiced opposition to leftist movements in Latin America. Gershman has long advocated for democracy promotion, meshing well with that aspect of the neoconservative agenda.